It is vital to understand the need and methods for achieving a continuously insulated building. Insulation plays a key role within the building envelope and is paramount to creating and maintaining a comfortable indoor environment. Structural Insulated Panels (SIPs) are high performance building panels used in floors, walls and roofs for residential and light commercial buildings. SIPs are made with an expanded polystyrene (EPS) rigid foam core sandwiched between two structural skins of 7/16″ oriented strand board (OSB). When the two are laminated together, they create an insulated panel that is 2-1/2 times stronger than a stick-frame wall. Whether you are building a residential home, a commercial building or an agricultural structure, Enercept offers cost-efficiency, energy efficiency, improved air quality and the one of the easiest ways to build green. The energy efficiency, strength and construction techniques of Enercept SIPs are a result of extensive engineering, design testing and experience. SIP homes require up to 50% less energy to heat and cool than stick-framed homes, meaning less fossil fuel consumption and fewer greenhouse gas emissions. The efficiency of a SIP building is a result of both the air-tight envelope the panels create, and the substantially higher R-Value of SIPs when compared to stick-framed walls. A high-performance SIP building enclosure often allows smaller HVAC equipment to be specified. It is important to work with a qualified HVAC professional that can accurately estimate the low levels of air infiltration in a SIP home or commercial building. Proper HVAC sizing is crucial because an oversized HVAC system will fail to reach the steady operating rate the equipment was designed for. Short cycling HVAC equipment will be less energy efficient and require more maintenance than properly sized HVAC equipment. SIPs release no volatile organic compounds (VOCs). Furthermore, because SIP-Built structures are so air-tight, indoor air quality can be closely controlled, a huge advantage for those with environmental or chemical allergies. The air tightness of the SIP building envelope prevents air from gaining access to the interior of the home except in controlled amounts. A controlled indoor environment is both healthy and comfortable. Humidity can be controlled more easily in a SIP home, resulting in a home that is more comfortable for occupants and less prone to mold growth and dust mites. SIPs structural skins use oriented strand board (OSB). OSB is made from fast-growing, small-diameter trees that can be harvested from plantations, avoiding the need for cutting old-growth trees. Even the smallest scraps of wood can be turned into OSB, virtually eliminating waste. SIP construction site has less waste because window and door openings are cut at the factory and framed with headers in place. SIP homes demonstrate that by improving energy efficiency, SIPs have a positive environmental impact over their product life cycle. SIP homes go up much faster than traditionally framed buildings. A properly trained SIP installation crew can cut framing time by 55 percent compared to conventional wood framing, according to a third-party study conducted by R.S. Means. Panels are manufactured as big as 8- by 24-ft., so entire wall and roof sections can be put up quickly, reducing dry-in time. SIPs are ready to install when they arrive at the jobsite, eliminating the time needed to perform the individual job site operations of framing, insulating and sheathing stick-framed walls. Electrical chases are typically provided in the core of panels, so there is no need to drill through studs for wiring. Are SIPs accepted by building codes? 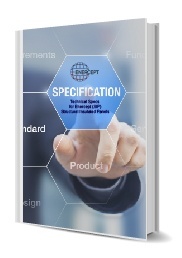 SIP construction is recognized by the International Code Council body of building codes, which are used by most jurisdictions in the U.S.
For residential buildings, specific construction practices for SIP wall systems are included in Section R614 of the 2009 International Residential Code. For applications beyond the scope of Section R614, the building inspector will typically require a licensed engineer or architect to approve the building plans prior to construction. An engineer’s approval is always required in high wind areas, high seismic zones and commercial buildings. How Do SIPs Compare to Traditional Construction? Structural insulated panels combine structural framing, insulation, and sheathing into one step. All Enercept window and door openings are factory built, complete with framing and headers. The fast enclosure system also extends your building season. Building with Enercept requires less on-site labor, saving you time and ultimately, money. Upon request, Enercept can also provide on-site technical training for builders by an experienced installer for new to SIP construction. Since our panels come ready-to-install with rough openings already in place, there is very little waste generated on -site. The typical exterior framing waste of an Enercept home can sometimes be hauled away in a single 55-gallon container. SIPs reduce the margin for framing errors. Each panel is numbered to correspond with a computerized CAD panel blueprint. With the Enercept 4′-wide panel system, all rough openings are cut and framed at the factory and include structural headers. Panels are built to engineers' specs, taking the hassle and guesswork out of design and quality control on-site. Could your truss roof support the weight of a pickup truck? Stick-framing relies on the integrity of a multitude of connection points between 2x's and sheathing. 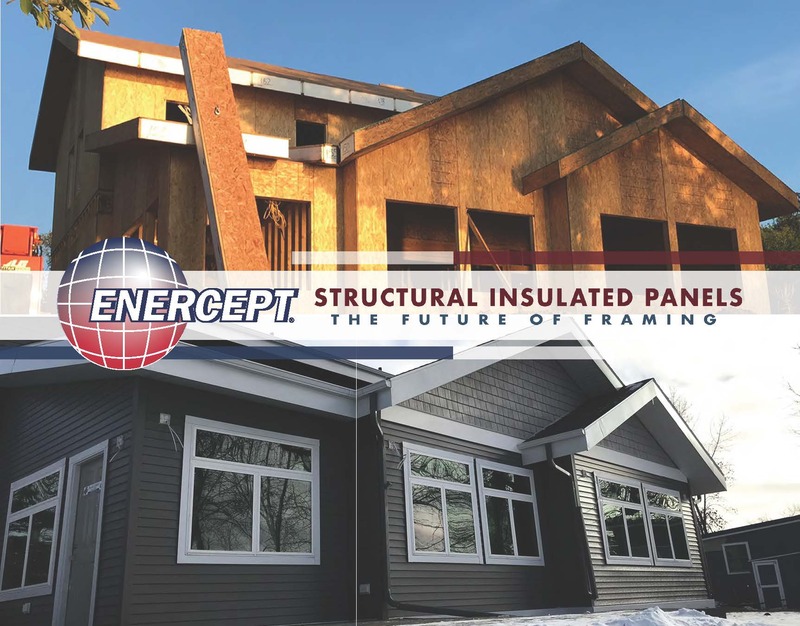 With SIPs, loads are distributed across the entire panel due to the continuous bond between the sheathing and rigid insulation, making them extraordinarily strong and ideal for many applications. Chances are you have been given misleading information about SIPs. Here are some common queries we hear about building with SIPs. How Does the Cost of A SIPs Structure Compare to Stick-built? 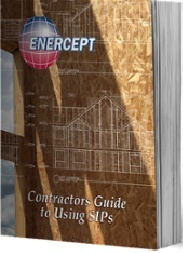 When you factor in material cost, labor expense, and job site waste with the benefit of a lifetime of energy savings, the Enercept system is a lower cost building solution. Do Enercept Panels Contain Urea-Formaldehyde (UF) Or Chlorofluorocarbons (CFCs)? No. Enercept SIPs were tested at the University of South Dakota and no traces of formaldehyde were detected. The panels do not produce off-gassing of dangerous chemicals either. What Is The R-Value of Enercept Panels? How do you ventilate an Enercept SIP roof? A ventilated roof is not necessary in most climates. Model codes allow both vented (cold roof) and non-vented (hot roof) roof assemblies. Because SIPs are insulated, conductive loss of heat is avoided, negating the problems usually associated with a non-vented roof. If you must ventilate your roof, 2x strips can be attached to the top of the roof and then covered with sheathing to form a vented layer over the SIPs. How do you wire an Enercept structure? Enercept was the first SIP manufacturer to patent factory-installed electrical chases. All chases are marked on the interior sheathing of the panels for easy identification. Our roof panels can be pre-wired in the factory to your specifications (when permitted by local building codes). Simply drill access holes through the sill and top plates for access to the electrical chases. 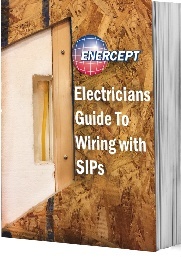 A comprehensive Enercept Electrical Guide is available. Do Enercept Homes Have Moisture Problems? Enercept structures are very air-tight compared to other building methods. Generally, a moisture barrier is applied to the exterior of the structure. Seam tape is provided for all interior panel connections and an air exchanger is strongly recommended. These measures will protect your home from moisture and will create exceptional indoor air quality. Is the Enercept System Code Approved and Warrantied? Does Enercept make Jumbo Panels? Enercept 8-foot wide jumbo wall and roof panels are custom made with the same great features of the Enercept 4-foot wide panel. 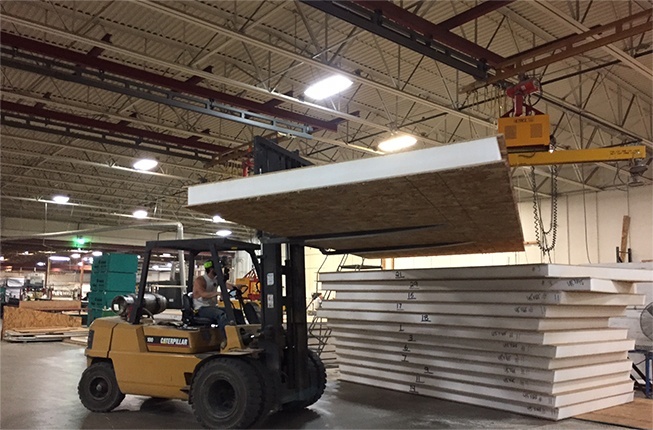 Enercept jumbo Panels have been third party tested by NTA, Inc. Enercept 8-foot wide panels can be engineered to meet your specific requirements. Either way Enercept panels are built to fit your needs. Do you want to learn more? Find out how SIPs manufacturing is driving big changes in framing. Request a copy of our new brochure, “The Future of Framing”.